NEW DELHI: Azure Power (NYSE: AZRE), a leading independent solar power producer in India, announced its foray into rural electrification through mini and micro grids in the eastern state of Jharkhand. According to the Ministry of Power (DDUGJY: Status update as of Sept. 30, 2017), more than three million households in Jharkhand are unelectrified. 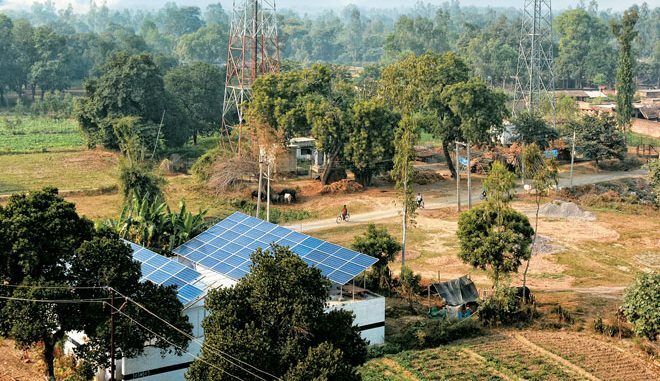 In an effort to electrify these households, Jharkhand Renewable Energy Development Agency (JREDA) has awarded projects for design, supply, installation, commissioning and operation for 5 years of decentralised distributed solar PV power plants along with power distribution networks to the unelectrified households. Azure Power has won a project to electrify 320 households across 11 villages through development of mini and micro grids. The Government of India recently announced ‘Saubhagya’ scheme which sanctioned INR 160 billion (~US$ 2.5 billion) to help achieve the electrification of 30 million households across the country by March 2019. Mini and micro grid development across India is likely to be core to achieving targets under this program. Azure Power is an established leader in the Indian solar industry with the longest track record in developing and operating large utility-scale solar projects. Earlier in 2016, the company launched Azure Roof Power which offers superior rooftop solar power solutions for commercial, industrial, government, and institutional customers in cities across India to lower their energy bill and meet their greenhouse gas (GHG) emission reduction targets. With the foray into micro and mini grids for rural electrification, Azure M-Power will offer reliable and affordable electrification solutions in villages across India that enables sustainable economic development, inclusive growth and resilience against climate change. Azure Power (NYSE: AZRE) is a leading independent solar power producer in India with a portfolio of over 1,630 MWs across 22 states/union territories. With its in-house engineering, procurement and construction expertise and advanced in-house operations and maintenance capability, Azure Power provides low-cost and reliable solar power solutions to customers throughout India. It has developed, constructed and operated solar projects of varying sizes, from utility scale, rooftop to mini & micro grids, since its inception in 2008. Highlights include the construction of India’s first private utility scale solar PV power plant in 2009 and the implementation of the first MW scale rooftop project under the smart city initiative in 2013.